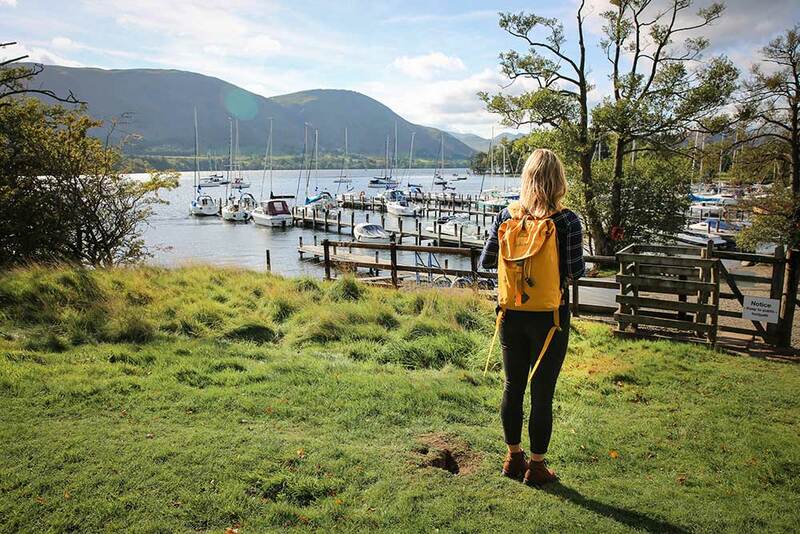 Anna Blackwell is an adventurer, writer, photographer and speaker with a love of the outdoors and pushing her limits. 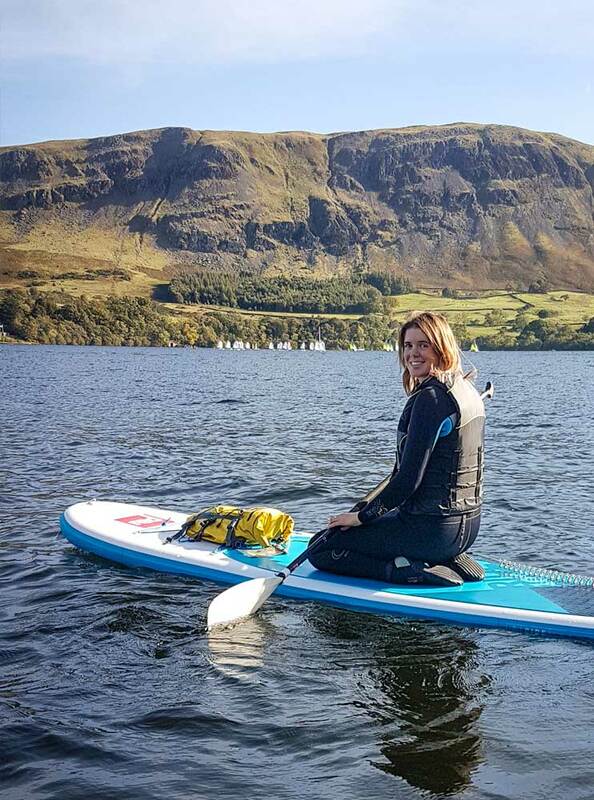 In September, Anna completed her Kayaking the Continent expedition which saw her and her friend Kate tandem kayak 4,000km across Europe, from London to the Black Sea in Romania. 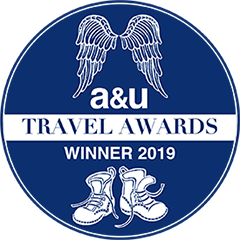 Anna has taken on numerous other adventures before, from five weeks trekking across the wilderness of Arctic Sweden alone, to walking 1,000 miles solo across France and Spain, and even hitch-hiking to Morocco. You can visit her website here. Returning home after a five-month expedition can often be a daunting prospect, as you leave behind a world of exciting escapades and natural beauty. However, I seem to have found the antidote in Another Place, The Lake. 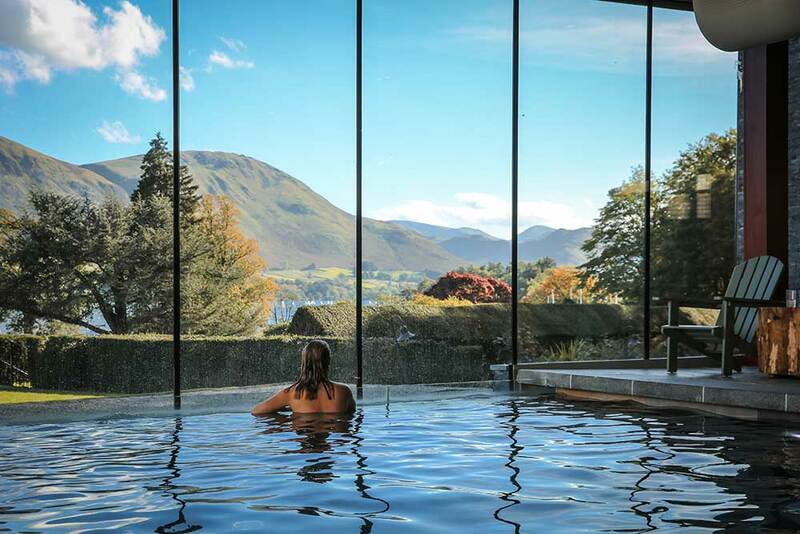 Situated on the shores of Ullswater in the north Lake District, this hotel offers a combination of comfort and luxury, paired with rugged scenery and adventures awaiting on the doorstep – exactly what I was in need of after almost half a year in a tent. 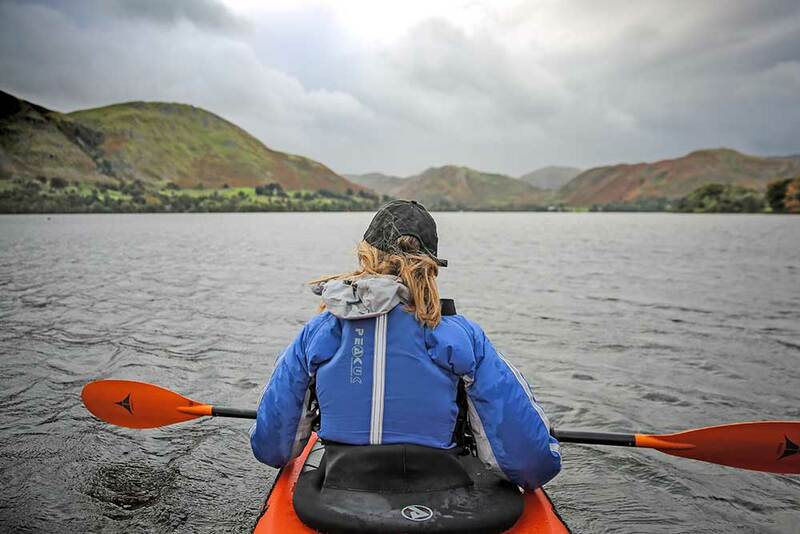 After a busy first week back since completing my Kayaking the Continent expedition, it was with a sense of relief that I hopped in the car to drive up to the Lake District. There is something so captivating about this far-flung corner of our country and as the landscape around me began to change, I felt a familiar bubble of excitement. A quick detour via Penrith train station (a short drive from the hotel) to scoop up my best friend Emma and we were at the hotel: turning onto the driveway, we could see the moonlit lake to one side and a few grazing cows on the other. Once we were checked in, the first thing on our girls’ weekend agenda was dinner. We were both quite tired, we opted to have dinner in the more low-key restaurant at the hotel, The Living Space. Though the atmosphere was casual and relaxed, the menu was full of bold and appetising options. Likewise, the wonderfully extensive gin menu kept Emma and I occupied for quite a while. 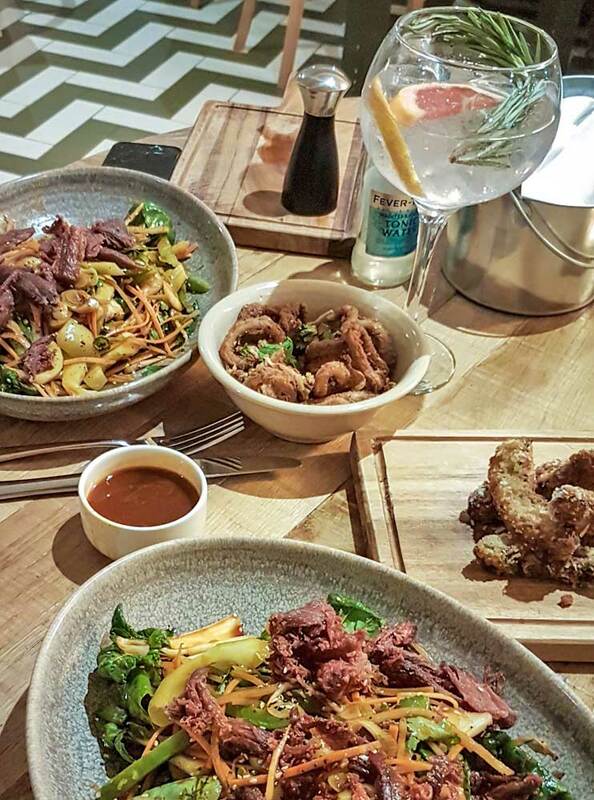 Armed with our drinks, we settled on a feast of portobello mushroom chips, calamari and Asian crispy duck salad. Our appetites sated, we returned to our room and promptly snuggled into bed with a mug of hot chocolate. The following morning I was awake and out of bed in a flash. After arriving in the dark the night before, I couldn’t wait to see the view from our window. 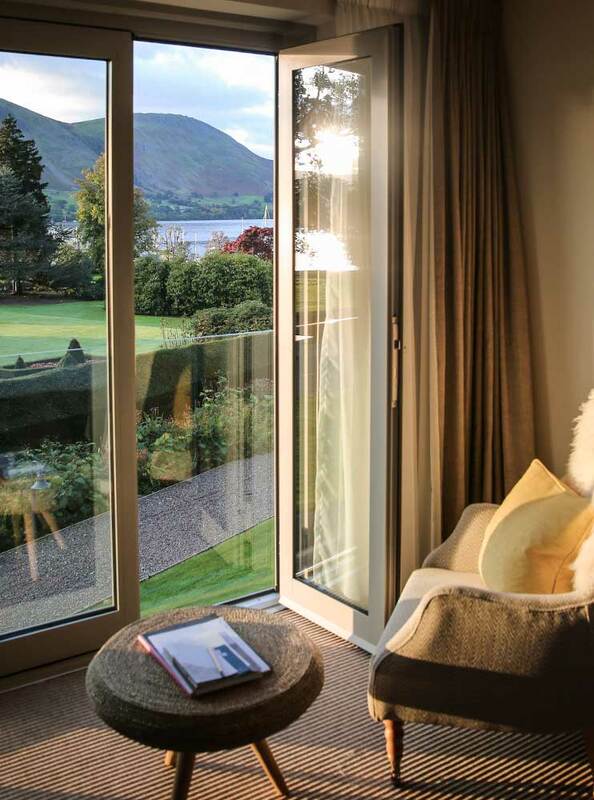 I was not disappointed: the early morning sun was just peeping up above the hills, casting its light over the lake and into our room. Just below me, the hotel grounds sloped towards the water, a mixture of beautifully tended gardens and open land. 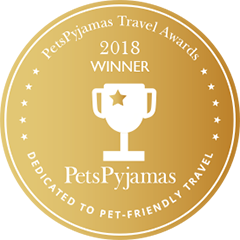 I could see a few hotel guests already outside with their dogs and I made a mental note to make sure I tracked down the pooches later for a cuddle. Leaving the curtains open so I could take in the mountain view, I hopped back into bed for a cup of coffee with Emma before we made our way down to breakfast. This was something I was quite excited about as I’d heard there was a DIY waffle station. Sure enough, set up on the side were a couple of impressive cast iron waffle makers, portions of batter neatly lined up for guests to help themselves to. A generous amount of food consumed, Emma and I turned our attention to the day’s activities. We had a few hours before our stand up paddleboarding session on the lake so decided to take our time exploring the hotel’s grounds. We grabbed the hotel flask in our room, filled it with fresh coffee from reception and made our way out into the hotel’s 18 acres of grounds, and down to the waterfront and private beach. 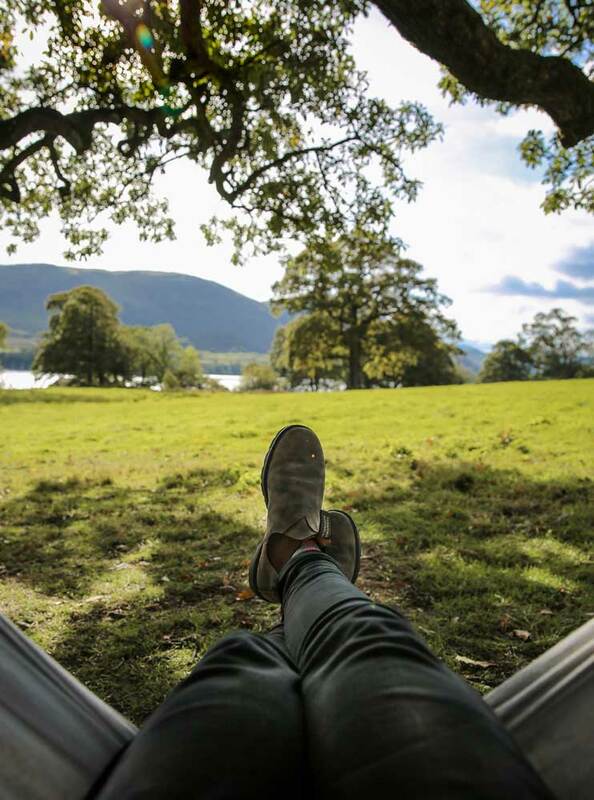 Despite it being an autumn morning, the sunshine kept us warm enough to lounge in the lakeside hammock while we drank our coffee. Watching the way the leaves above us played in the wind and cast dancing shadows on the intertwined roots of the trees, it would have been easy to think it was still summer. I didn’t really mind that the seasons had moved on though; the Lake District is very well-suited to the rich colours of autumn and all around were bursts of red and orange as the trees donned their seasonal outfits. It was time to make our way to the Sheep Shed for our paddleboarding lesson. 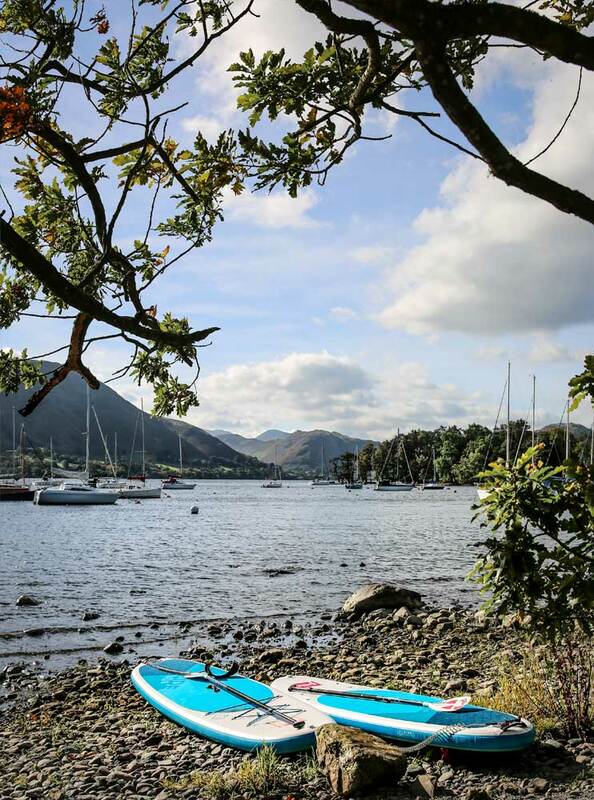 Paddleboarding is already one of my favourite sports and I have longed to get out paddling in the Lake District. 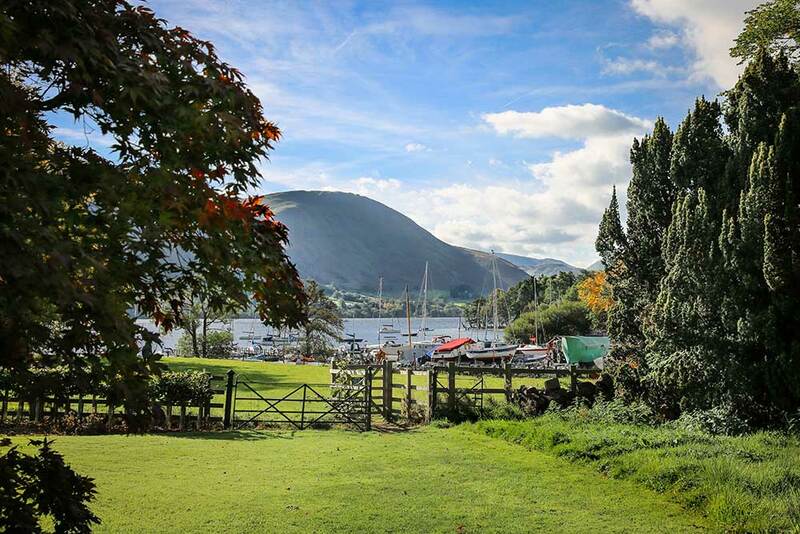 As the second largest lake in this National Park, Ullswater seemed a worthy locale. This was, however, Emma’s first attempt at paddleboarding. Luckily she was not alone, as a few other beginners joined our lesson. 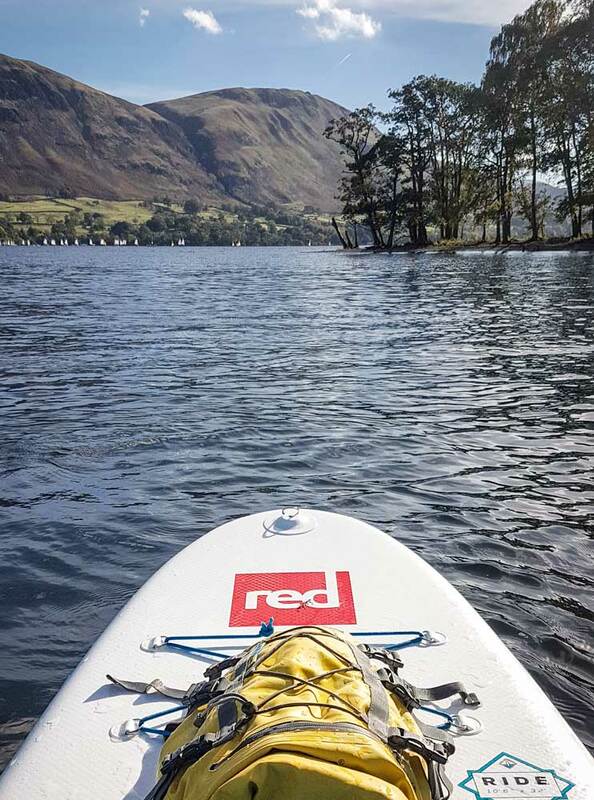 It was a gusty afternoon, but under our instructor’s patient guidance it didn’t take long for everyone to progress from the initial kneeling position to taking their first tentative, wobbly paddle strokes, finally gaining the confidence to go on a short adventure around the lake. Not quite ready to return to land, we found a sheltered bay and tested our balance with some yoga poses… Some more successfully than others! Eventually it was time to reassemble on the hotel’s private beach, satisfied at the progress made and a healthy dose of post-exercise endorphins coursing their way around our bodies. Having spent a few hours on the water, we decided that now it was time to go in the water. Ditching our wetsuits, we settled on the slightly more relaxing option of the swimming pool and hot tub. 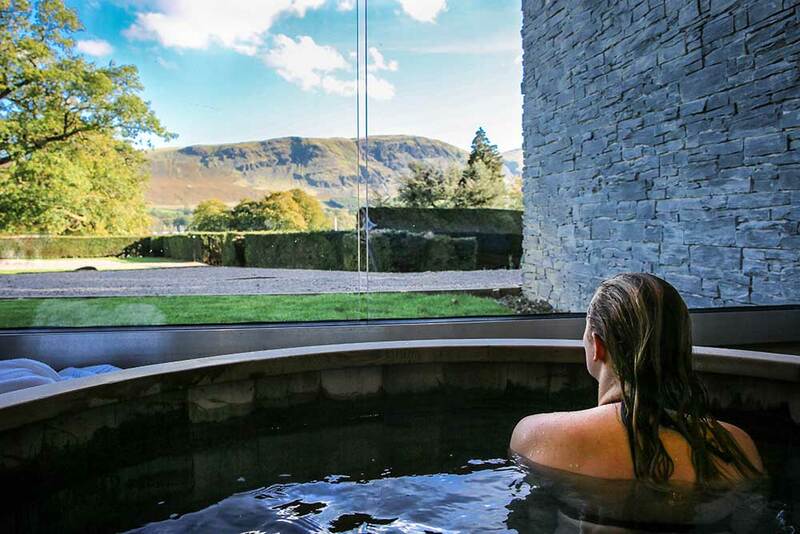 We almost felt like we were still outside; two of the walls are floor-to-ceiling windows, providing sensational panoramic views across Ullswater and the surrounding fells. The outdoor Canadian hot tub is equally stunning, the relaxing experience heightened by the contrast of the cool autumn air with the warm water we soaked in. By late afternoon it was time for me to abandon Emma while I ventured to The Swim Club for the ultimate – and definitely well-earned – indulgence: an hour long full-body massage. Having spent almost five months on a kayaking expedition and the six months prior training intensely for said expedition, a luxurious hour of having my weary, exhausted muscles pampered was the pièce de résistance of the weekend. An hour later, I floated back to Emma in a daze of essential oils and relaxed muscles. There was now only one thing left on my mind: dinner. Our busy day and all the time spent outside meant we had worked up an appetite, and there was no better place to go to remedy this than the hotel’s Rampsbeck Restaurant. Our plates arrived, adorned with silky burrata, tender pork belly and sumptuous lamb, followed by my all-time favourite combination of salted caramel and pistachio ice cream. A fitting end to a superb day. The next morning we woke to grey skies and the threat of rain. Luckily this didn’t hinder our plans for the morning. After another delicious breakfast we returned to the Sheep Shed, this time for a morning of kayaking. You may think that after five months of kayaking I may never want to go near a kayak again, but it was actually the opposite. Being able to unite one of my favourite sports with one of my favourite places in the world, and getting to share it all with my best friend, was a truly wonderful thought. As we paddled around the lake, the dark skies overhead would occasionally give way to reveal glimpses of blue. Simultaneously, a burst of sunlight would break through the clearing in the cloud, creating a patchwork of bright and dark over the muted tones of the autumn hillsides. Ullswater zig-zags its way for nine miles between the fells and as we followed the bends of the lake, the views ahead opened up and it was possible to recognise the broad plateau summit of Helvellyn. Eventually, the weather prevailed. We retreated to the beach as the first drops of rain began to fall, grateful for our waterproof gear and spraydecks. 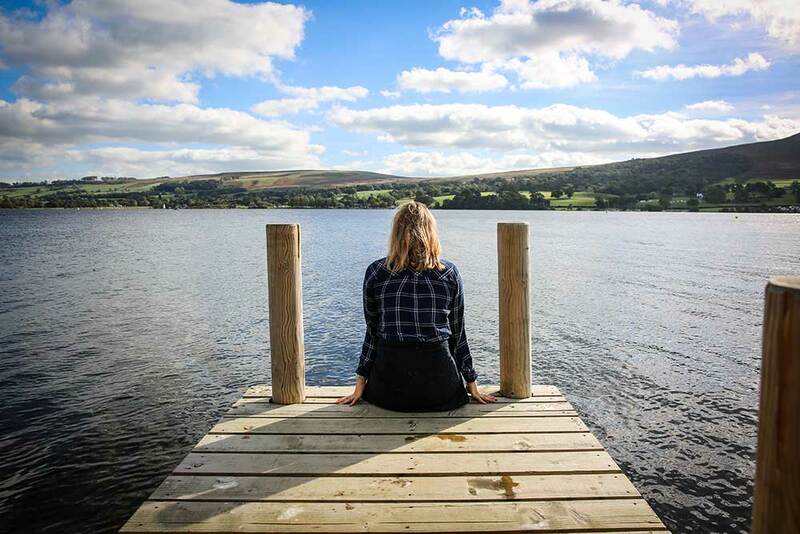 The bleak weather mirrored our mood as we realised that our weekend had come to a close and it was time to return south; in just those few days, Another Place, The Lake had welcomed us with open arms and made us feel a sense of belonging. 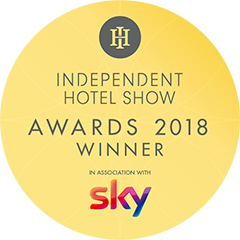 With its homely touches, attentive staff, incomparable location and adventure opportunities in abundance, it’s somewhere I can see myself returning to as often as possible.